A 6ft high peacock sculpture by artist Geoffrey Dashwood has been stolen from a garden in the New Forest. 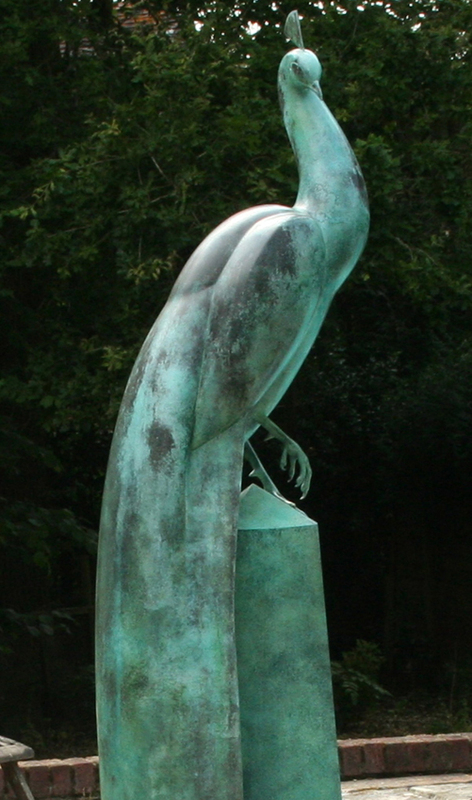 This 6ft high peacock by sculptor Geoffrey Dashwood has been stolen from a garden in the New Forest. The bronze sculpture weighs 25 stone (160kg) and it is unclear how it was removed from the garden last week as there were no signs of disturbance. The victim of the theft in Hampshire has owned the artwork, which is valued at more than £40,000, for more than eight years. A reward for information is being offered. Anyone with information should contact the Hampshire Constabulary and quote crime number of 44170319728.